Currently I craft 2 styles of paddles. One is called the "Nolie" and the other is the "HW". All paddles are made one at a time and are signed and numbered, each having its own personality. I use only the finest materials available. The only complaint I have with them is most people are afraid to use them. I will admit they are pleasing to the eye. They are very functional as well. 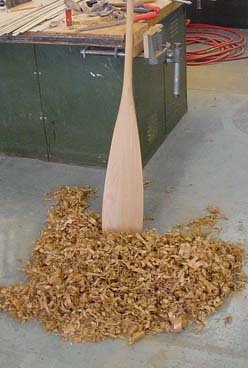 This is a traditional beaver tail style paddle. I call it the Nolie after my mother-in-law. 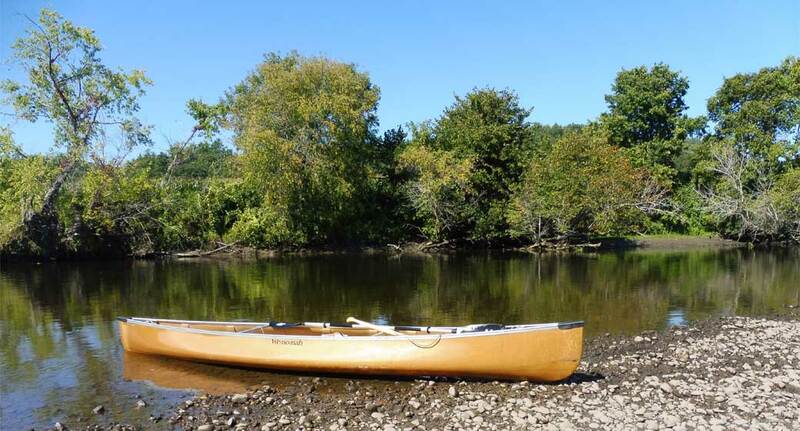 An avid outdoors person herself, it typifies the style of paddling she enjoys. Poking around in placid streams, ponds, and bays, fishing or just taking in the scenery. 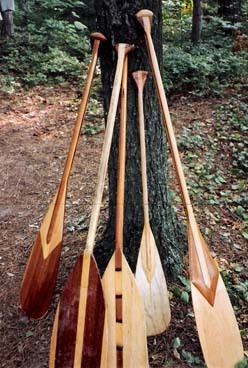 The paddle pictured is carved from a single piece of black cherry. This is a nice light wood that is also quite rugged. The beauty of it is self evident. I also use butternut which is an extremely lightweight wood and equally as attractive. Great care and pride are taken in crafting each paddle. I would say it takes me from 10–12 hours to complete one. A lot of time is spent eyeing and shaping in the later stages of carving. After carving and shaping, it is sanded smooth and then oiled. From here I can either continue to oil, ending with a fine hand-rubbed finish or apply three coats of polyurethane. Either way the grip is left unfinished as is traditional. 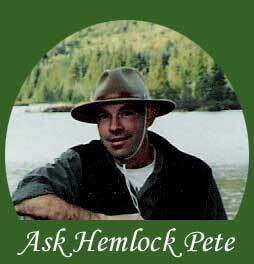 The "HW" is named after my grandfather, Howard Wardner, the true founder of Hemlock Pete's. It is truly a craftsman's paddle which is fitting to its namesake as he was a cabinet maker by trade. The style and shape of this paddle evolved over time as I became more adept at making paddles. I guess you would classify it as a cross between modern and traditional styles. These paddles are laminated in many layers. They are crafted using a combination of woods either maple and cedar (shown) or cherry and white pine. The grip is made from meranti. "West System" epoxy resin is used as an adhesive. Once glued up as a blank, it is shaped, oiled, and then sealed (completely) with three layers of polyurethane. A thickened layer of adhesive is applied to the end of each paddle for wear protection. I can and will make custom paddles. This may mean copying a specific style that you want and/or using different species of wood. I am open to suggestions. Drop me a line and let me know what you would like.